There is a lot of buzz surrounding Sicario director Denis Villeneuve’s upcoming sci-fi film Arrival, and the final trailer for the alien-encounter drama only adds to the mystery by providing the first glimpse of the movie’s extraterrestrial visitors. Paramount Pictures released the new trailer this week and a new poster for the film. Along with providing some additional footage from the November release, the trailer also hints at what the mysterious aliens at the heart of the story might look like. 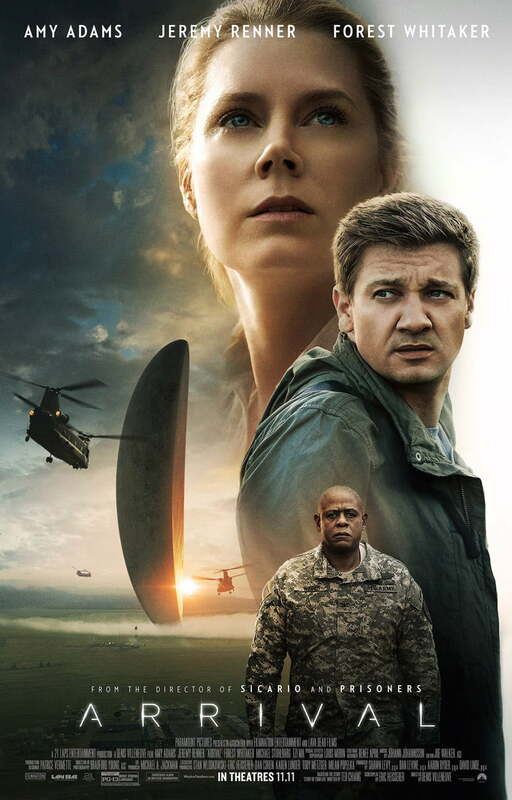 Inspired by Ted Chiang’s novella Stories of Your Life and based on a script penned by Eric Heisserer (The Thing), Arrival casts Amy Adams (Batman v. Superman: Dawn of Justice) as a brilliant linguist who’s recruited by the military to establish communication with aliens who have landed at various points around the globe. First published in 1998, Chiang’s novella was the winner of the prestigious Nebula Award for Best Novella in 2000 and was praised for its exploration of the relationship between linguistic theories and our concept of determination. In addition to Adams, Jeremy Renner (Avengers: Age of Ultron), and Forest Whitaker (The Last King of Scotland) in featured roles, the supporting cast of Arrival also includes Michael Stuhlbarg (A Serious Man), Mark O’Brien (Republic of Doyle), and Tzi Ma (Rush Hour). Arrival had its world premiere at the Venice Film Festival in September, where it won the “Future Film Festival Digital Award” and was nominated for “The Golden Lion,” the festival’s most prestigious award. The film is scheduled to hit IMAX and standard theaters November 11.